A Painted Advent | With Smithsonian & Olympic Artist Ron Dicianni - Ron Dicianni is one of today’s most renowned American Artists. His work has been featured in the Smithsonian and he’s painted the President of the United States. He is currently working on A Painted Visual Bible for Families. Join Ron and his friends in this walk through some pivotal stories for Advent and as he shows us that sometimes we need to "See" the story to truly experience its depth and beauty. The same messenger Gabriel, that had appeared to Daniel more than five hundred years earlier, now makes a surprise visit to Zechariah in the temple. When big news was to be announced, Gabriel was the messenger. The artist of today’s picture, Ron Dicianni, attempts to portray a heavenly messenger. His imagination leads his brush to paint spectacular belief, and yet the artist tries to imagine Gabriel in a manner that makes it easy for Zachariah to relate to him. The artist believes that God isn’t interested in scaring us or confusing us, rather, His desire is to reveal Himself and His plan to us. The artist uses an aggressive posture for Gabriel in an effort to visualize that moment when Zechariah, who might have been praying, heard the voice of an angel. 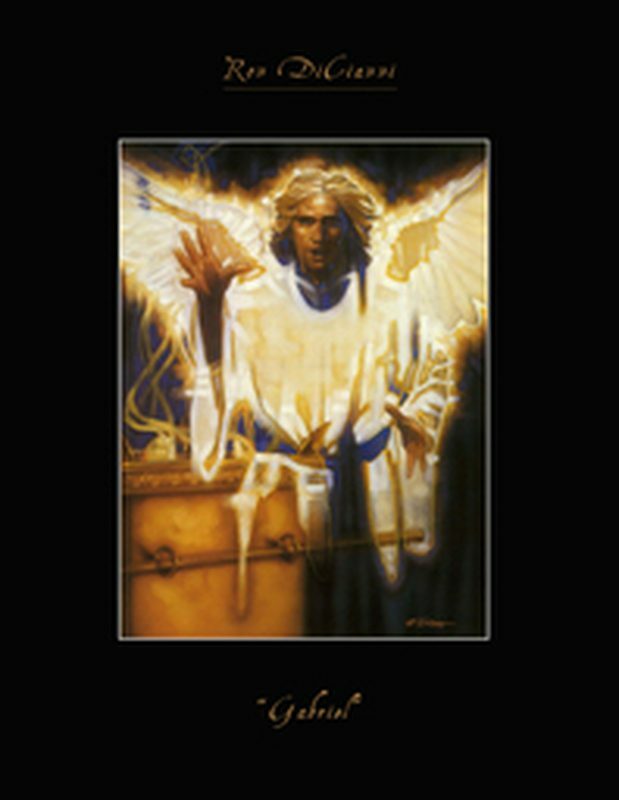 Gabriel needed to say, “Do not be afraid ...” because great terror usually accompanies a visit from an angel. The artist also felt it right to paint Gabriel as appearing gradually; walking right through the altar to approach Zechariah. The colors in the background include purple and crimson because the artist wanted to suggest the draping of the curtain that separated the altar of incense from the Holy of Holies. Zechariah was not allowed back there, as that was reserved for the High Priest exclusively. The saddest part of this scene—an aspect that the artist wants us to notice—is that Gabriel ends up disciplining Zechariah for unbelief. This is why the face of Gabriel is shown a little on the stern side. It is a reminder to us all to take God at His word. Ron DiCianni is one of today’s most renowned American Artists. His work has been featured in the Smithsonian, he’s painted the President of the United States, and he was at one time the official illustrator of the Olympics. He has collaborated on over 50 book projects; working closely with names like John MacArthur, James Dobson, Max Lucado, Joni Earckson-Tada, Jerry Jenkins, Randy Alcorn, Frank Peretti, Max Davis, Karen Kingsbury, and Michael Card. He is currently working on A Painted Visual Bible for Families. Learn how you can help more at The Garden City Project. Also, join Ron and friends, and 150 other presenters from over 70 countries in a global conference on creativity, Make Jesus Culture.